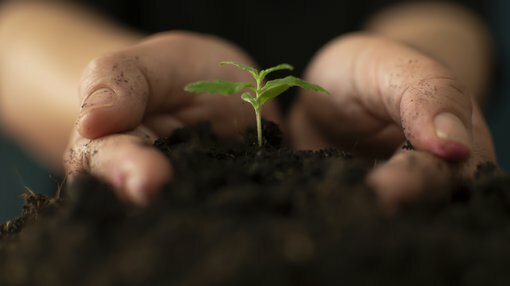 Award winning global agricultural technology company CropLogic Ltd (ASX:CLI) has provided a further update on its progress in entering the multi-billion dollar US hemp market. As reported by Finfeed at the start of last week, the company’s wholly-owned Oregonian subsidiary LogicalCropping LLC was issued a registered industrial hemp growers licence by the Oregon Department of Agriculture, a development that has seen its shares more than double since then. However, CropLogic’s investment prospects extend beyond the revenues it should derive from selling its maiden crop towards the latter part of 2019. The company provides cutting-edge technology to growers for decision support, and this will be utilised in growing its hemp crop to optimise yields from its trial 150 acre hemp farm in Oregon. Consequently, the group will have the opportunity to showcase its technology which is already widely used across a variety of agricultural crops. More specifically, the company aims to facilitate the hemp production process through the use of its innovative hardware and software package, CropLogic realTime. 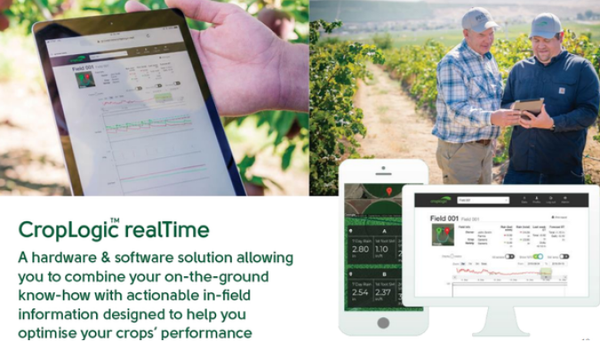 The hardware technology monitors and tracks key crop metrics, such as soil moisture and irrigation, and as the name suggests converts observations into data for access via a range of platforms in real time. This information is then collated in a concise and accurate format, providing actionable insights for users to make cost-saving decisions. Users can view this data in a user-friendly application called CropLogic GrowerView, which can be accessed via desktop, as well as on both Android and Apple iOS. CropLogic has developed this tool with the expertise of leading agronomists, leveraging over 30 years of research. Following the introduction of the 2018 federal Farm Bill, it was reported that the number of licensed growers had climbed from 13 to 584, and hemp acreage had swelled from essentially zero to more than 11,000 acres according to the Oregon Department of Agriculture. CBD and cannabis research organisation, Brightfield Group estimates that the value of the US hemp market will triple to US$22 billion by 2022. This represents extremely promising news for a company such as CropLogic as it is positioned to generate income at every point in the supply chain from crop planting and growing through to harvesting and the generation of income from sales. The company will also benefit from supply chain management which usually results in improved efficiencies and better margins. Importantly, the company will be one of a small number of ASX listed players in the sector to generate revenues in 2019 with income from the sale of its hemp crop grown in Oregon expected to deliver income in the order of $15 million. Revenue achieved from this crop will be available to support the further product push and development of CropLogic’s suite of agricultural technology products, including CropLogic realTime. On this note, James Cooper-Jones, CropLogic chief executive said, “CropLogic is excited to apply its considerable agronomy and agtech knowledge on this trial farm this season. By demonstrating the company’s agronomy and technologies, CropLogic positions itself to benefit from a lucrative and expanding market. CropLogic and LogicalCropping are in discussions with several potential offtake partners, and the group is also investigating potential participation in the process of its hemp biomass beneficiation and processing into CBD (cannabidiol) products. 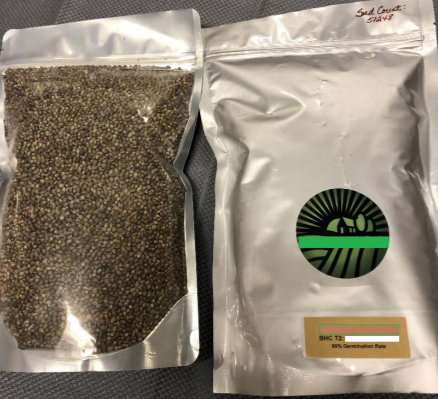 On the growing side, CropLogic has received its first shipment of industrial hemp seed through its wholly owned Oregonian subsidiary LogicalCropping LLC. These seeds have been delivered to a third party nursery experienced in industrial hemp for germination before planting in May. They were sourced from a supplier in Oregon that has a track record of delivering high yields from high potency, disease resistant seeds. Over the next eight months, there will be a number of milestone events for CropLogic, many of which have the potential to impact the company’s share price. For example, news regarding planting in May/June, flowering in August/September, harvesting in September/October and sale proceeds in October/November will all be signposts as to CropLogic’s progress in generating substantial income, as well as being an indication of the success of the company’s technology.